Brainwashed - Kelly Moran, "Optimist"
New York based composer and pianist Kelly Moran has been quickly developing a body of work that rich and complex with not just piano and electronics, but also her exceptional and nuanced approach to production and sound design as well. The instrumentation of Optimist may seem basic: all nine songs feature piano (prepared and unprepared) and some additional synthesizer and electronics, but the finished product has so much more depth than it would seem. It comes together as a fully realized, gorgeously diverse series of compositions. A number of these songs feature Moran leading the traditional sounding piano to the forefront, which is no surprise. The opening "Optimist" features the mostly pure piano sound, seemingly presented in interlocking loops, with additionally treated passages and plucked strings rounding out the piece into an understated, yet dynamic structure. Her playing on "Nyght Spel" is a bit more deliberate: harder, hammered sounding piano notes command attention, although presented in an overall pleasant sounding melodic framework, as additional electronics and synths flesh out the mix. During other moments, the piano is there, but utilized less in its conventional sound. During "Strangers are Easy to Look at, Loved Ones are Museums of Brutality" (the perfect song title for the current holiday season), it is sparingly used, with infrequent notes dowsed in echo and reverb. Synthesizers and ebows are used to construct a glistening, icy wind that drifts through the mix. On "Let's Dance", Moran takes the sound of her piano into more lo-fi spaces; a hollow, thin sound that is still the instrument in question, but with a unique edge on it overall. More synthesizer layers are blended in to fill out the performance quite beautifully. The sound is even more out there when "Glacial" comes around. Plucked strings instead take on the sound of tonal, gorgeous bells that chime out, and her ebow and synthesizer additions add a slightly grimy, almost distorted guitar-like patina to the otherwise pristine sounds. Moran employs the same tools to "Dream Pauline" with notably different results. In this case, there is a dynamic, up-tempo flow to the composition, and besides the conventional sounding piano she also blends in lush, droning tones and an almost harpsichord-like sound from her treated piano. The final product is a faster, more rapidly flowing piece that wonderfully contrasts the more pensive, delicate moments of the record. 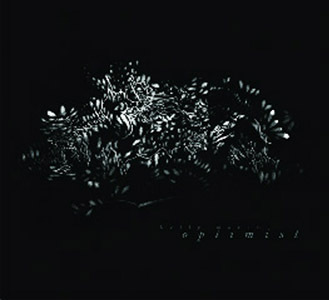 Like her other albums, Optimist is solely the work of Kelly Moran: composition, performance, recording, and production. While obviously demonstrating immense talent and skill on her part, it also has a positive impact when it comes to the final product. These compositions clearly demonstrate the singular focus she has on her art, and also what can be achieved when an artist is able to exert complete control. In some scenarios this could lead to a bloated, self-indulgent piece of music, but Optimist is anything but. Instead it is diverse, varied album of beautiful sounds that demonstrates a multitude of dynamics, but all unquestioningly linked by Moran’s hand.